Description: If you use a magnifying glass, you can just make out me shaking hands with the Secretary General of FISA, John Boultbee, as Alison and I recieve our Gold medal for winning the women's pair event in the World Rowing Championships (Junior). Germany won silver, and the Commonwealth of Independent States (post USSR) won bronze. August 1992. 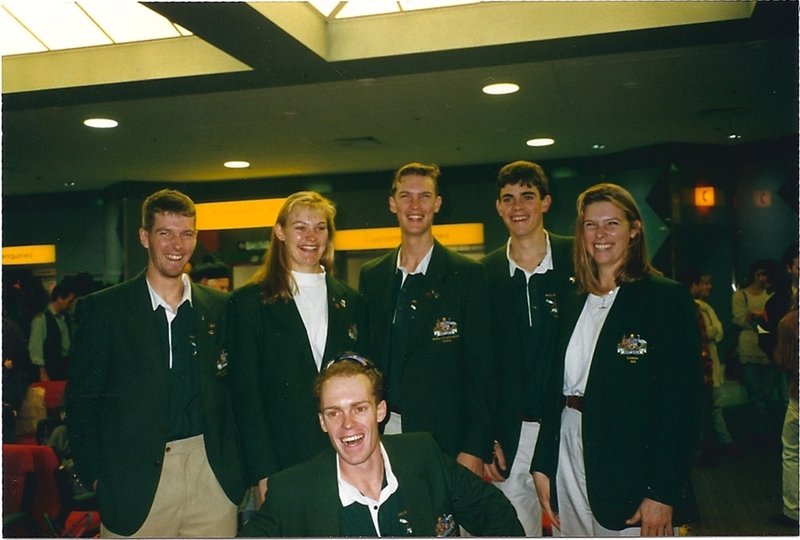 6 bleary eyed South Australians leaving Adelaide very early in the morning for Switzerland and the start of our 10 week campaign in Europe in the lead up to the World Championships in Roudnice, Czech Republic, 1993. 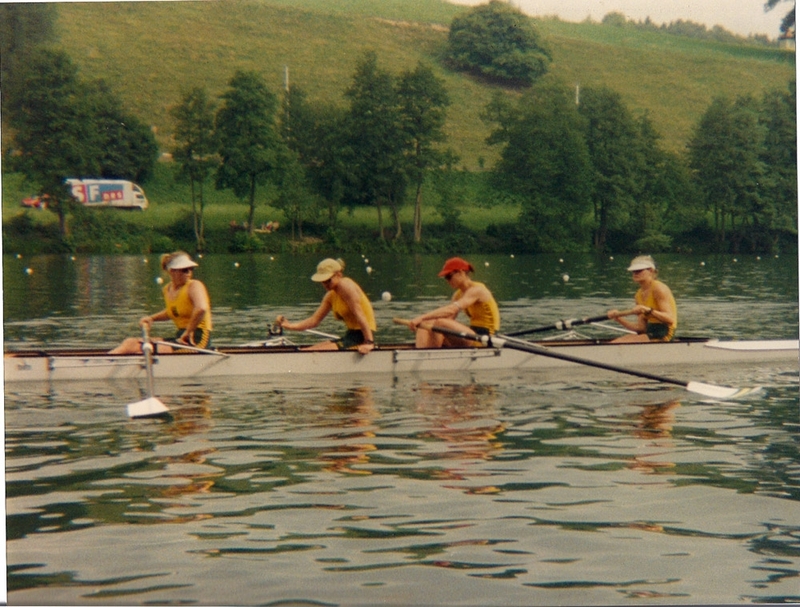 The lightweight mens 4- achieved a 4th place, whilst Alison and I won a Silver medal. From left, Andrew Stunnell, Alison Davies, Ned Draydon, James Seppelt, Tory toogood, with Ben Reece in front. 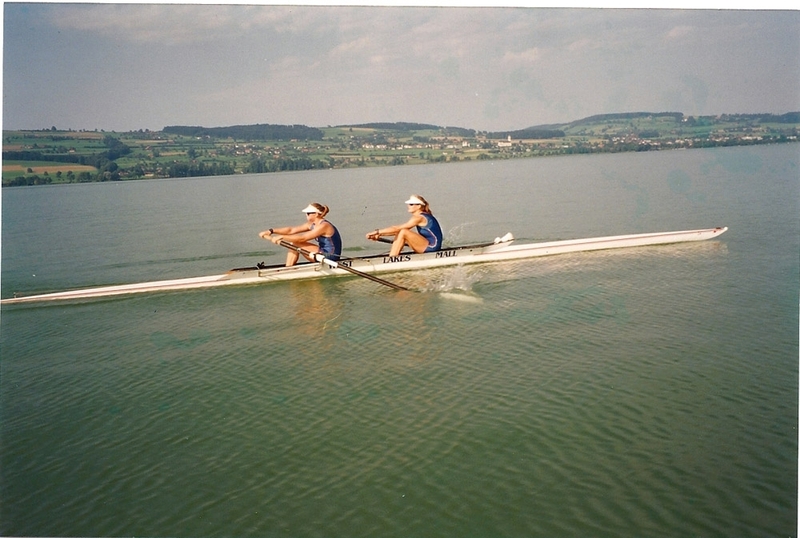 Description: Tory and Alison wearing matching Italian team rowing suits (swapped the previous year at the World Junior Championships), enjoying a beautiful day on Sursee (the lake). July 1993. 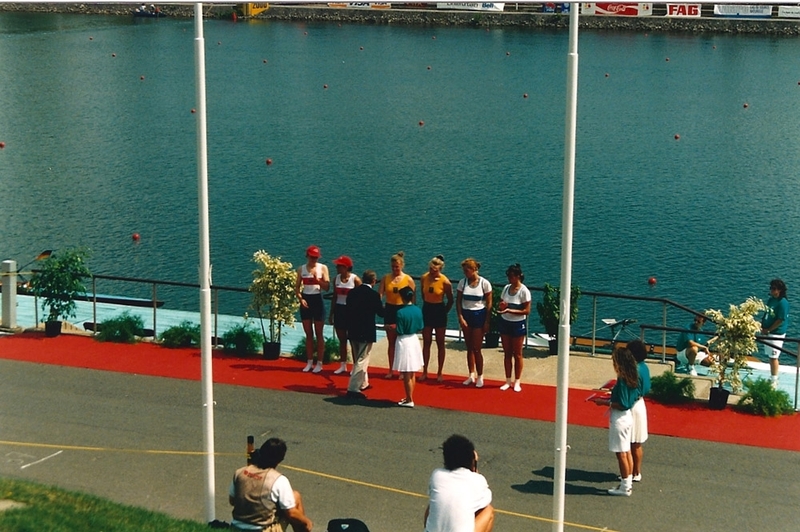 Description: The Australian Women's 4 at Lucerne, Switzerland in 1994, after winning a silver medal in the European Championships. Left to Right: Tory Toogood, Kate Slatter, Megan Still and Alison Davies. Description: Fixing the boat rigging, 1994, Canada. Silver medal around my neck. 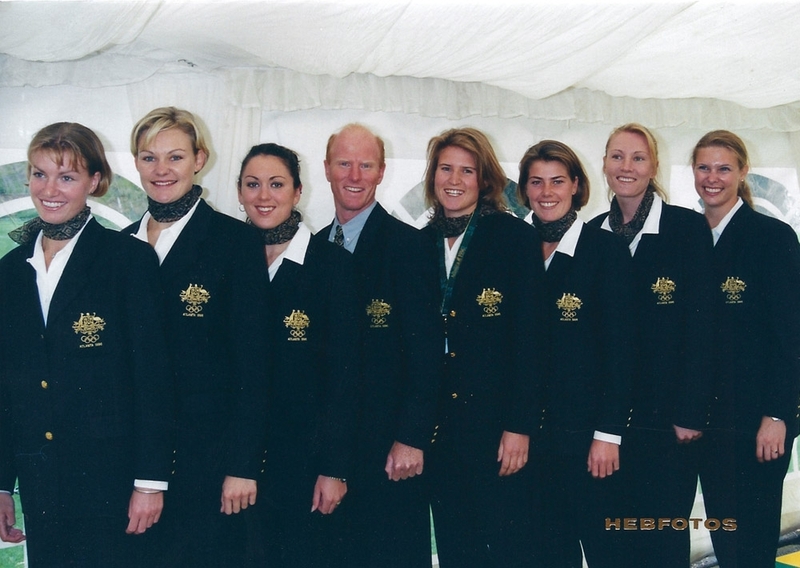 The Australian Women's Eight squad in new Olympic Team uniform, before the official team welcome dinner in Athens, Georgia. 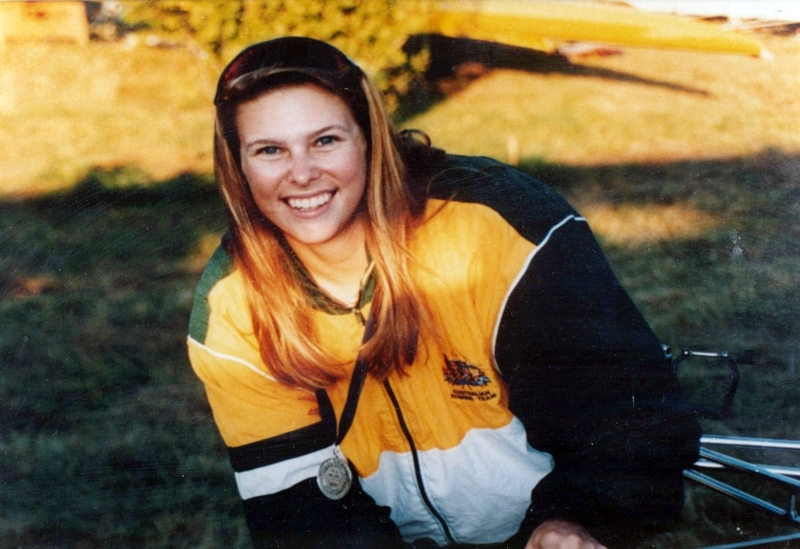 July 1996. From left: Bronwyn Thompson, Carmen Klomp, Alison Davies, Tory Toogood, Amy Safe, Anna Ozolins, Angela Holbeck, Karina Wieland, Gina Douglas, Jenny Luff. 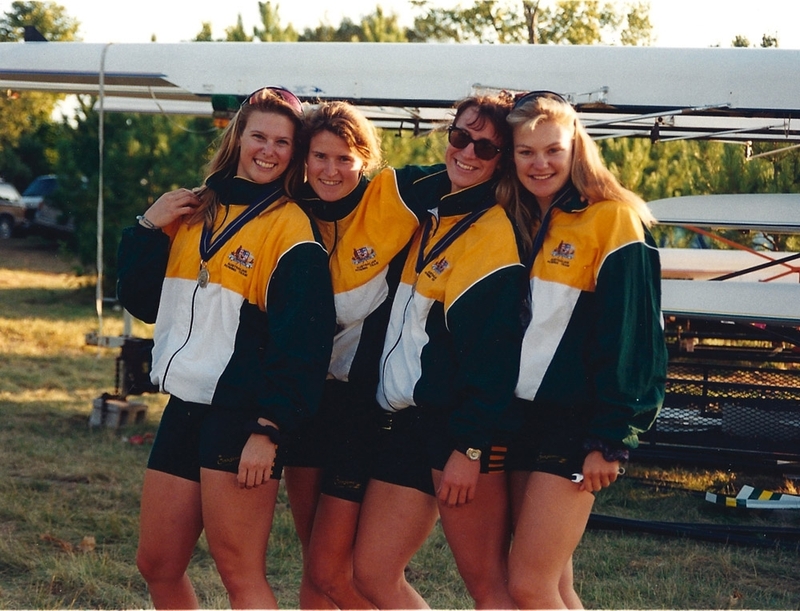 Description: The 1994 Australian Womens 4-, a self timed photo taken after our Commonwealth regatta Silver medal in London, Ontario. From left, Tory, Kate Slatter, Megan Still and Alison Davies. 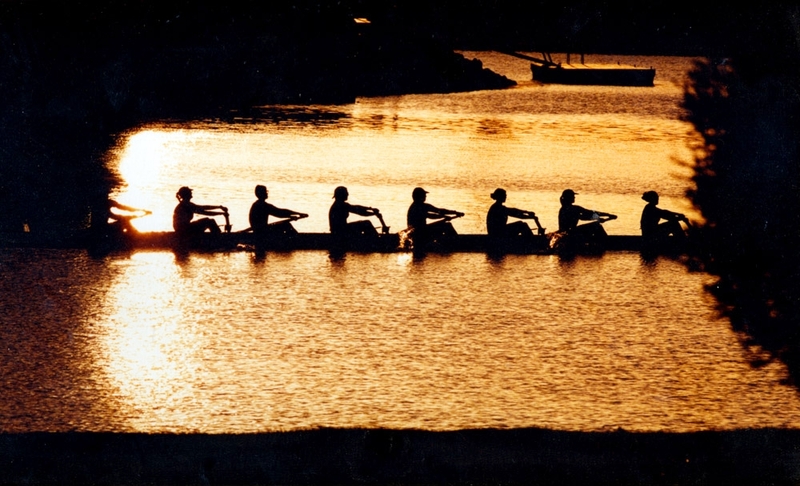 Description: A newspaper photo taken of the Australian Womens eight when in Adelaide, training at West Lakes for a camp in early 1995, at dawn. 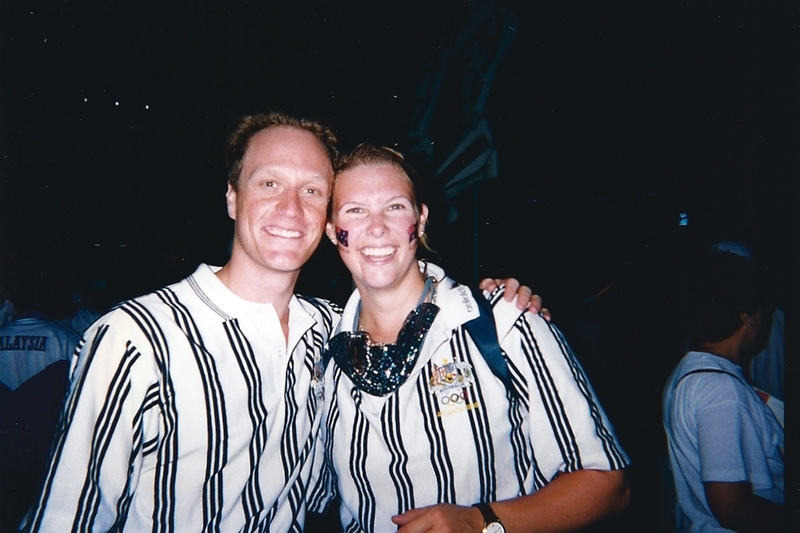 In the rowing area during the Atlanta Olympics, Lake Lanier, 1996. 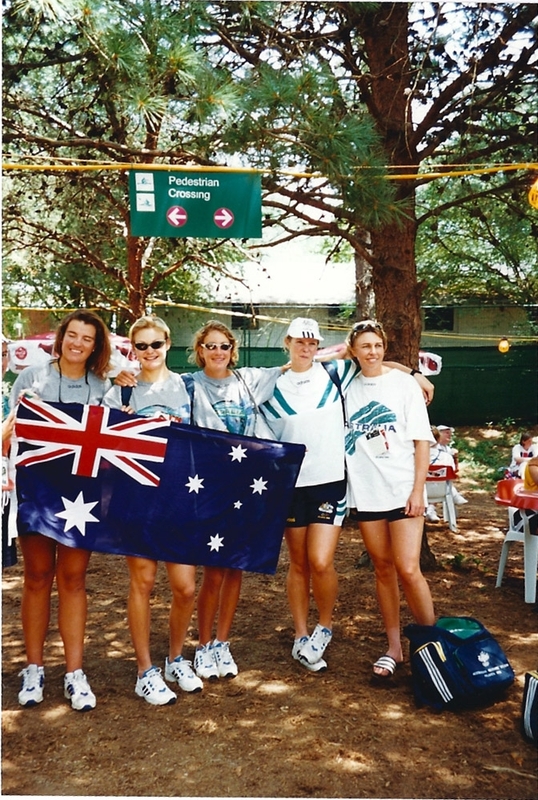 The South Australian Olympic Rowers before the welcome home parade September 1996.